Attractive and charismatic with a profound ability to bring out the best in people, Dr. Tad James is a staunch believer in the inexhaustible inner potential of human beings. He is an exciting, dynamic transformational seminar leader, and a pioneer in the field of Neuro Linguistic Programming (NLP). As a successful Personal Success Coach and NLP Master Trainer, Tad is the creator of a revolutionary new paradigm for human change known as the Time Line Therapy® techniques. He is the author of seven (7) books and numerous audios and videos in the field of NLP, including the Best Seller “The Secret of Creating Your Future®”. Tad James was born in Washington DC. His father, Preston James, tried to induce traditional values and beliefs of friendly competition and hard work in his son through his own example (he was Chairman of the Geography Department at Syracuse University). He set high expectations and wished that Tad would be the most successful in whatever he does in the future. His mother, Eileen, played a significant role in his upbringing. She taught him that everyone is created equal and that all people have a potential locked in their minds which if tapped into can create real miracles. Never being trained in NLP, Eileen was always a happy and cheerful person; she used to say “I never let my mind think bad thoughts”. This was a lesson the young Tad never forgot. Tad James attended Syracuse University, and graduated with a Masters Degree in Mass Communication. He began his career as a manager of a Radio station, ultimately managing his own radio station. At this time, the plight of the small businessman led him to become a business consultant. While doing business consulting he realized he could not help everyone he wanted. Even if his Masters Degree was in Mass Communication, he found something missing in the art of communication between humans. He began to research on powerful ways of communicating and creating change in people and organizations, and this led him to Neuro Linguistic Programming or NLP. Made the second NLP Master Trainer by Richard Bandler, one of the founders of NLP, Tad quickly recognized the value of high involvement and shorter trainings. Because of his dedication, hard work and unmatched discovery of the Time Line Therapy® techniques, it did not take long before Tad rose to become a leader in the field of NLP. Today, his name is synonymous with NLP excellence. He has trained and certified more successful NLP trainers than even the founders of NLP. His sole aim is to give his best and bring out the best in every person he meets in his trainings. Tad James was the first NLP trainer to do a Learn NLP Training in an accelerated format. A leading advocate for expanding the human potential and efficiency, he designed and implemented the seven day NLP training before anyone else. His innovative spirit sometimes led to controversies. Initially met with opposition, his accelerated format for an NLP Practitioner in only 7 days (with pre-study) has later become the standard in the industry. In 1988, his research became more widely known with the publishing of his first book, Time Line Therapy® and The Basis of Personality. Since then, Time Line Therapy® techniques have become a major modality for creating powerful change in business, education, and therapy. Time Line Therapy® utilizes a person’s own internal “Time Line” to work with their unconscious minds in a variety of ways; including, healing emotional traumas and eradicating unwanted thoughts, emotions and behaviors. It has been so successful in its results that thousands of people including psychiatrists, psychologists, marriage and family counselors, social workers, life and business coaches, and even athletic coaches have utilized it for over a decade. It is so highly regarded that the Council of Psychotherapy in Croatia asked to be trained by “The James” in Time Line Therapy® so they could help many of the victims of the war suffering from post traumatic stress syndrome. Tad’s offshoot of it, The Secret of Creating Your Future® shows people how to use their same internal Time Lines to realize their goals in life. 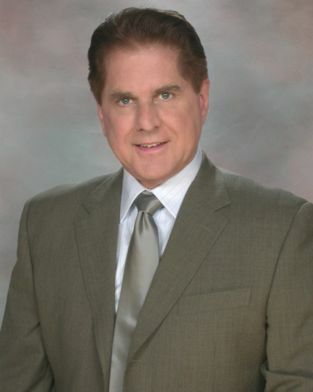 Dr. Tad James has been teaching NLP, Time Line Therapy® and Hypnosis for over 25 years. 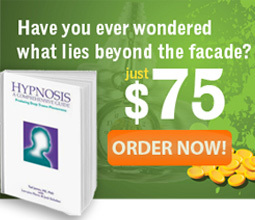 He is the president of the American Board of Hypnotherapy and served for over ten years. Actors James Brolin and Linda Gray loved his work so much they hosted an infomercial along with Tad back in 1994 that sold The Secret of Creating Your Future® via audiotapes. 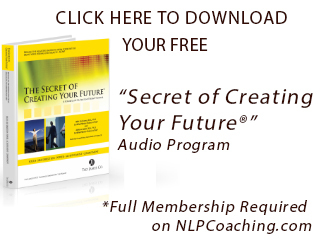 Dr. James has also written 7 very successful NLP books. Throughout his career Tad had only one dream: to empower people to find their best potential inside themselves and together to “Transform the Planet”. In the twenty-five year period between 1984 and 2009, Tad has traveled extensively teaching trainings and seminars in the US, Canada, UK, Europe, Asia and Australia, sometimes being away from home 11 months per year. 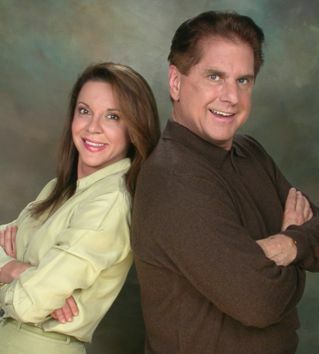 Since 2001, his wife Adriana joined him in his work, and together they founded The Tad James Co., one of the world’s leading and most innovative NLP companies. The couple quickly emerged as a dynamic team, and together they developed new techniques and paradigms for prosperity, health and success. Their legacy of life focuses on the success and accomplishment of all their students. Tad’s books, audios, videos, and seminars have been used by hundreds of thousands of people around the world to create happier, more fulfilling lives.